Earlier this year at SIHH, Audemars Piguet unveiled the Royal Oak Frosted Double Balance Wheel Openworked watch. A work of art and craftsmanship, the 37mm timepiece features a remarkable Frosted gold finish created by Carolina Bucci, whom the brand has worked with for two years. Now, the brand releases a new 41mm Carolina Bucci Limited Edition Royal Oak Frosted Gold version with mirrored dial. 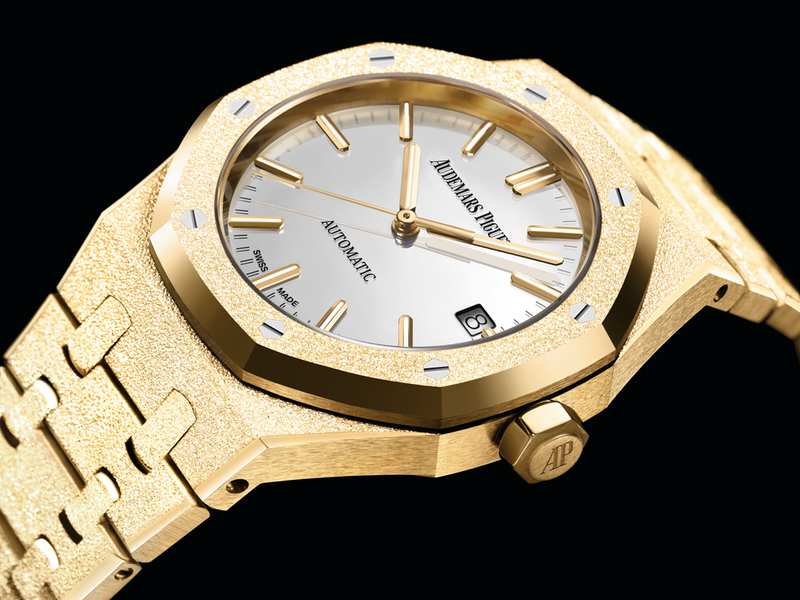 The case and the entire bracelet of the watch is hand-finished in what Audemars Piguet calls Frosted Gold, wherein the gold is all hand hammered to achieve an incredibly shimmering look. As mentioned, the Frosted finish was first introduced by Audemars Piguet in 2016, for its 40th Anniversary of a women’s Royal Oak. Then, the brand used it again for the Frosted Double Balance Wheel Openworked, and now for this special edition. 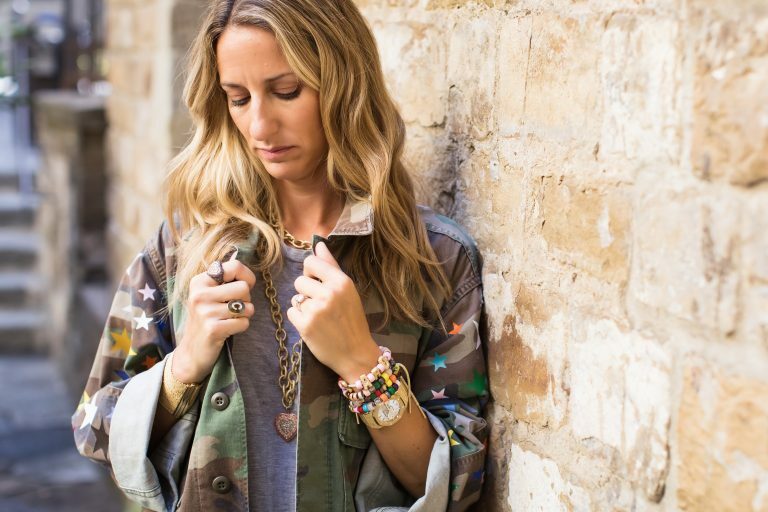 To achieve the look, Italian jewelry maker Carolina Bucci turned to a centuries-old Florentine technique of hammering gold. Literally every indentation on the watch is made by hand using a diamond-tipped tool. The result is a “frosted” look that captures eyes and hearts. 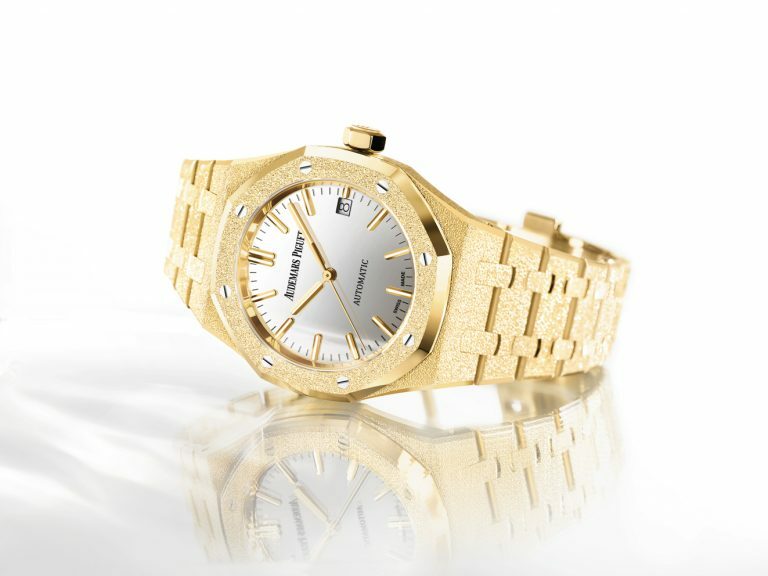 This entry was posted in Watches & Jewellery and tagged Audemars Piguet. Bookmark the permalink.